Let benevolence flow forth from the rafters with the Goodwill Chandelier. 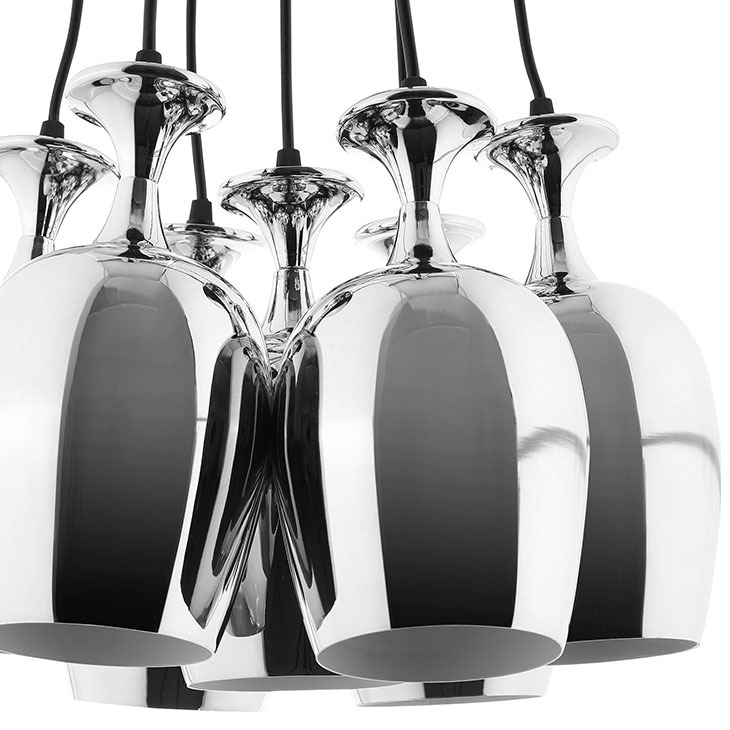 Seven polished steel wine cups contain vast amounts of light and goodness with a chandelier that never ceases to innovate your surroundings. Height adjustable with a push button, bestow illuminated generosity with this chandelier perfect for contemporary, modern, vintage modern, and other transitional decors.